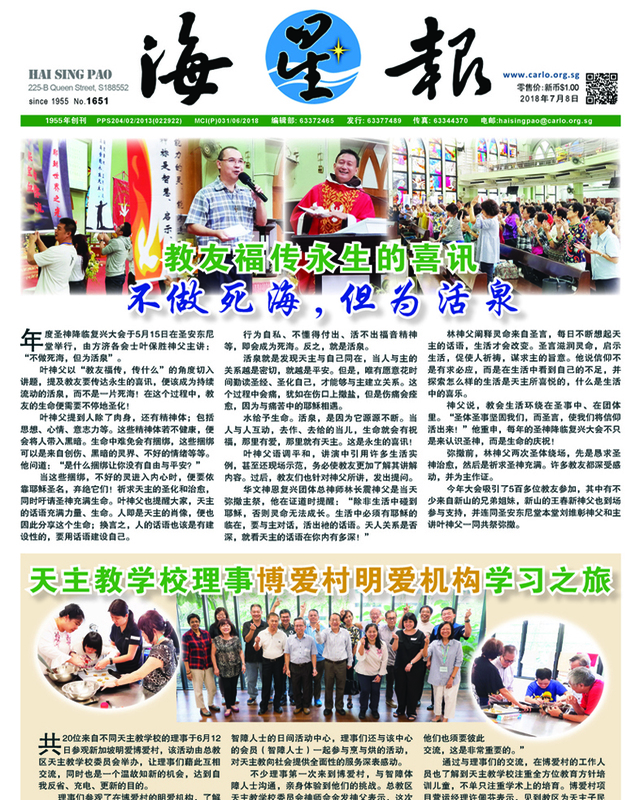 is the fortnightly Chinese Catholic Newspaper of the Singapore Archdiocese.Mission : To share in the mission of proclaiming the good news of Jesus Christ by providing information about the Church and articles for Christian Faith formation. 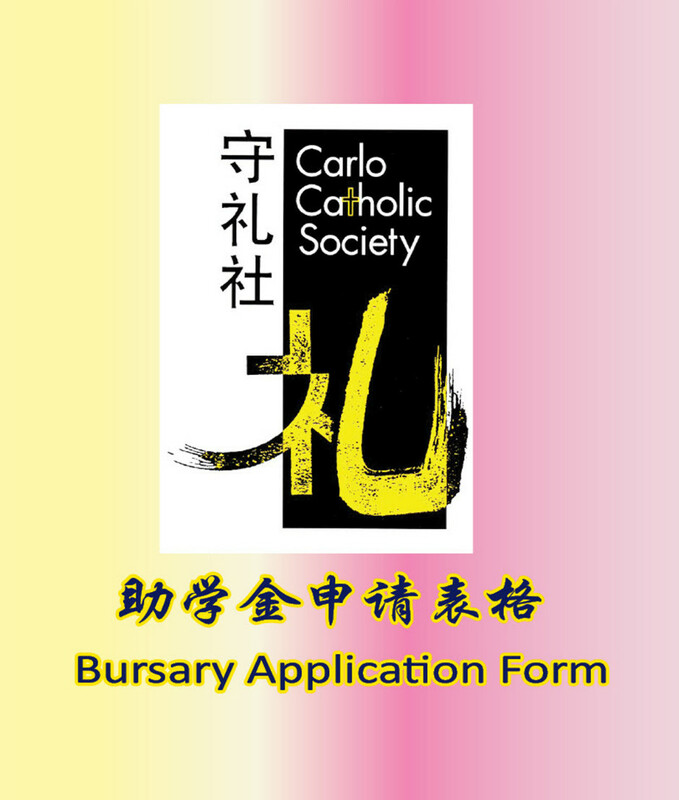 Carlo Catholic Society was set up in 12 January 1996 as a society. 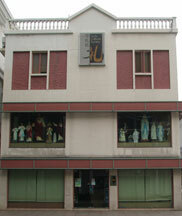 It was registered under the Charities Act on 22 January 1996. The objectives of the Society are to bring the Christian message of salvation to all people of good will, to encourage believers to receive deeper Christian formation and to promote spiritual growth. 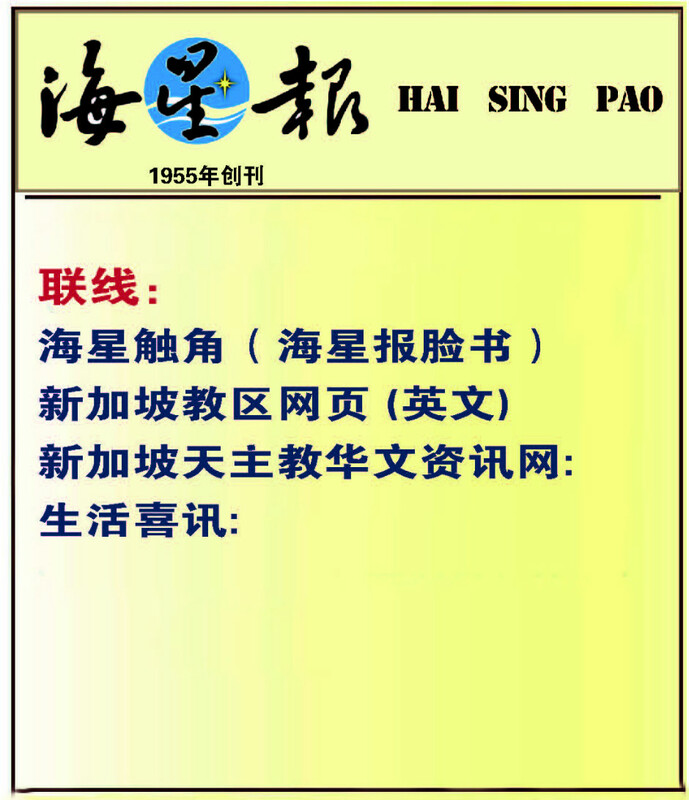 The Society publishes a bi-weekly Chinese Catholic Newspaper of the Singapore Archdiocese, Hai Sing Pao, which is distributed in Singapore and Malaysia as well. 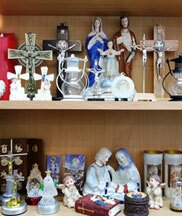 It also runs a gift shop as a means to promote Christian literature and provide religious articles to promote religious devotion.